Deeply hydrating, without being greasy, C.E.O. provides 5% Vitamin C to your skin in the form of THD Ascorbate, the gold standard of Vitamin C. THD Ascorbate is powerful, jar-stable, and highly targeted Vitamin C derivative that prevents and repairs the visible signs of premature skin aging, while being significantly less irritating than other forms of Vitamin C. Brightens the appearance of the skin, provides anti-oxidant support, and fights the look of damage caused by UV-B exposure, for a hydrated, smooth, youthful complexion. Blended with refining lime pearl extract and protective, anti-pollution exopolysaccharides. Apply to clean skin, once or twice a day, for luminous, moisturized skin. Works well for sensitive skin. Can be used in the MORNING to visibly brighten provide anti-oxidant support, or at NIGHT, to visibly repair the look and feel of dehydrated, sensitive, UV-B and pollution exposed skin. I have been using this moisturizer for a couple of months on my sensitive normal/oily acne-prone mature skin. The results so far are the best I have ever had from a moisturizer. My skin is much clearer, no break-outs, non-greasy, greatly diminished pores and fine wrinkles are fading. I use this day and night which in itself is huge for me as I have always used two different moisturizers for day/night. I have tried many Vit C moisturizers with less than stellar results including Murad, Obagi, and PCA. This is a keeper. I am amazed at how little I have to use so it is also a great value. It plays well with my daytime makeup and any serums or boosters I use on my skin. I never really write reviews, but I feel like you shouldn't waste your money on this. My skin remained neutral as if I wasn't even putting a $65 moisturizer on. My skin did not improve nor did it worsen but I expected something to happen. I finished the container yesterday and I do not think I'll be buying it again. I have oily/combo skin. T zone is oily, the outer edges of my face are dry. I am not sensitive to moisturizers, but I do break out sometimes- mostly during my monthly gift. That being said, the pros of this moisturizer: a little goes a long way, it smells great, doesn't make me break out. The cons: saw no improvements to my skin. My skin is the same as using a 13 dollar moisturizer of Simple. So why spend the money. Anyways just thought I let you know if you want to purchase it. One thing to note - it's not fragrance-free as it says in the details. I absolutely love this stuff for colder weather. Idk how I would like it over summer when my skin isn't as dry but in the winter months it's the only thing that keeps my skin hydrated and moisturized. It doesn't break me out and lasts a long time (a little goes a long way). 10/10 would recommend. I wish I had just invested in the Full Sized one, but that's besides the point. I really love this lotion. I have normal to dry skin, and it makes my skin so soft and supple. It is a tad oily? I don't think I'd recommend this for over oily , or really sensitive skin. I did smell a citrusy scent, which is pleasant. I think the larger size would have been a better value...but I'll know next time. 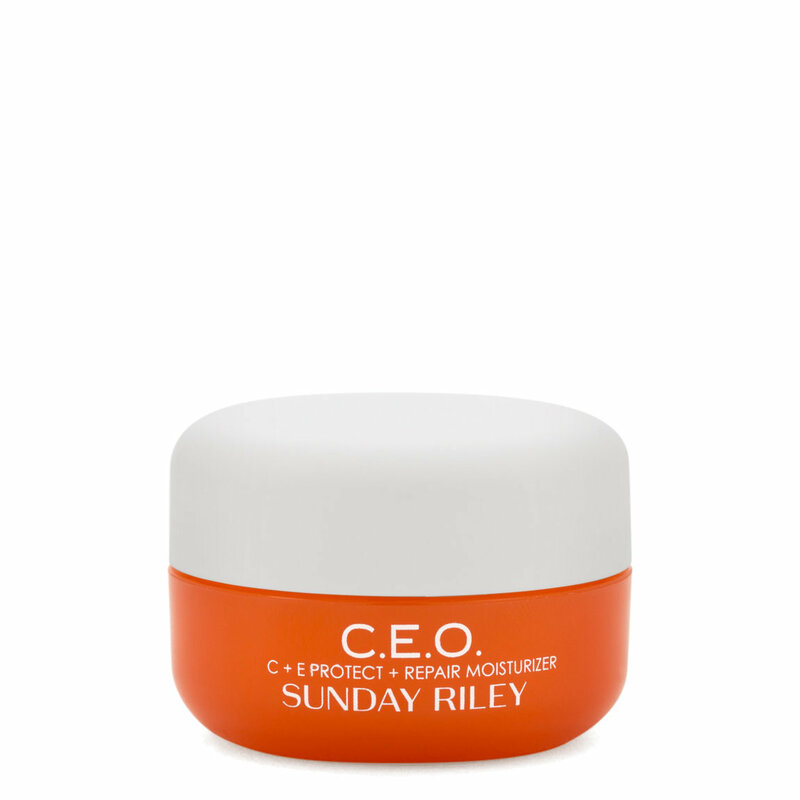 Love this and the rapid flash C. I haven't tried a Sunday Riley product I haven't liked...definitely worth the cost... and a little goes a long way! !